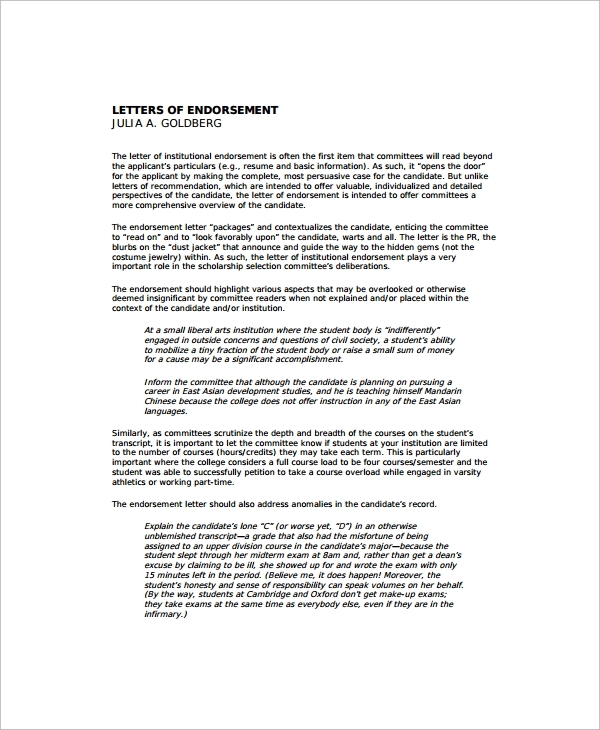 The endorsement system is actually a formal style of recommending, where you put forward the services, product or a person, or a business for some value which you think they contribute, and that is what endorsing is all about. 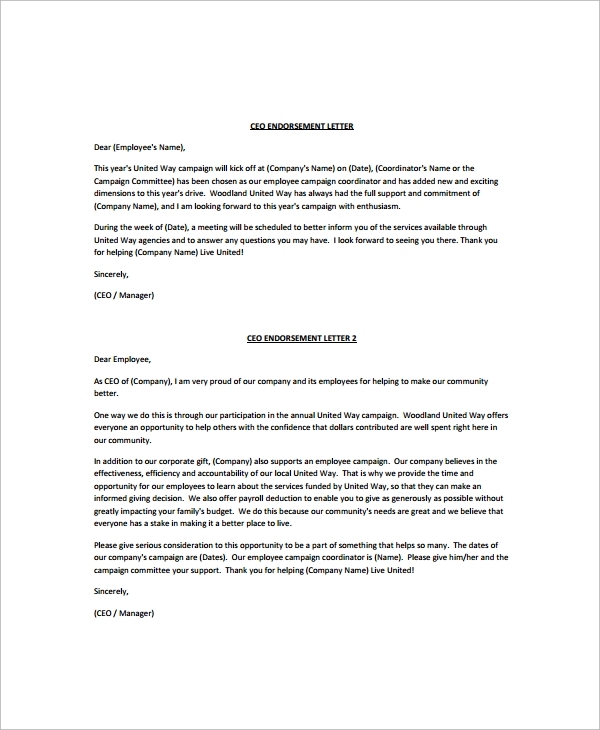 When you are endorsing something or someone, you need to do it in a nice and professional way, specially when you are personally endorsing and recommending to some other body or business etc. 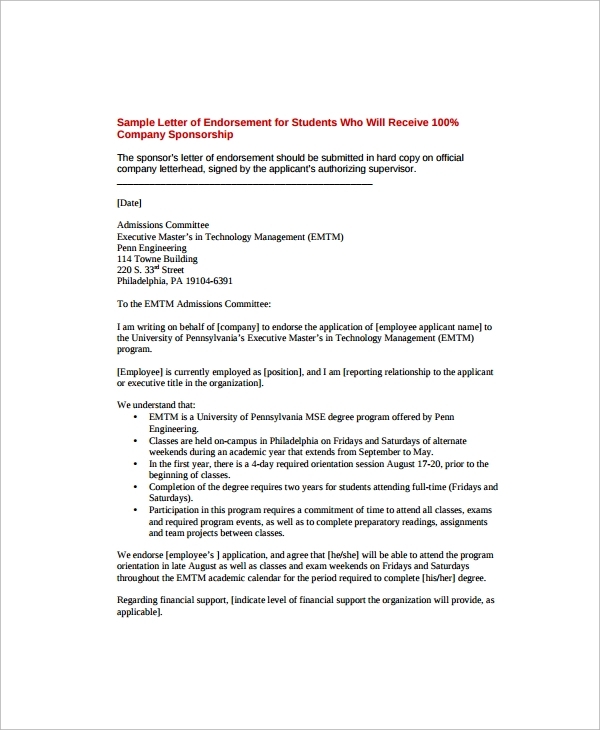 It is then that you will need the templates for presenting your statement in official style and accepted ways.You may also see candidate endorsement letters. 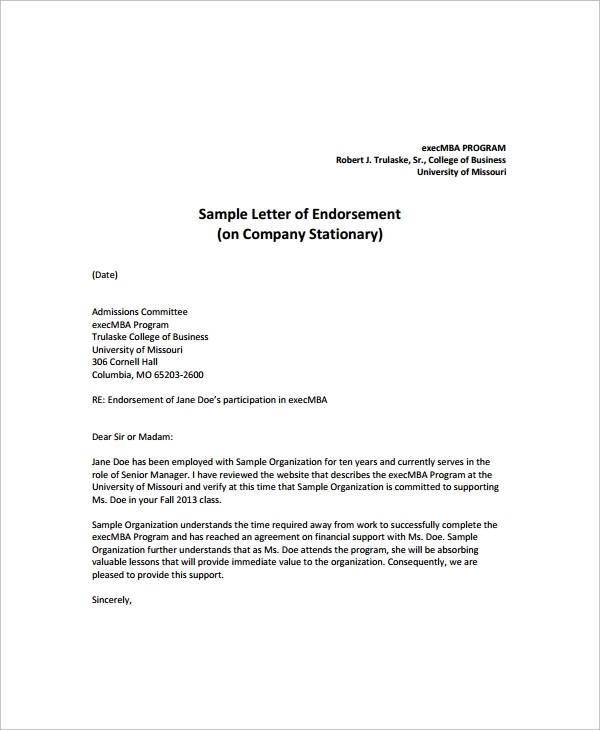 The business endorsement letter is a style that you refer to when you are endorsing a business. 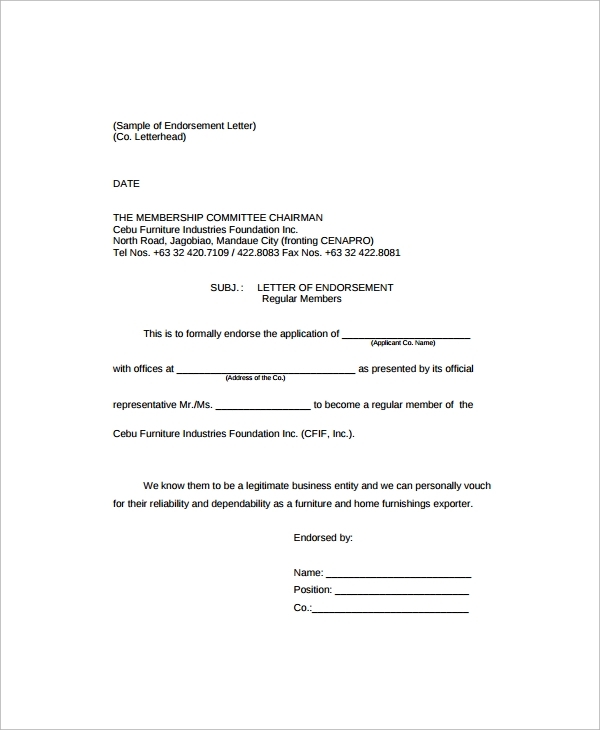 If you are endorsing a business with certain skills, services, or domain, and want it to go public or refer it to some other body or entity, then you will need this typical format or template.You may also see simple letters. 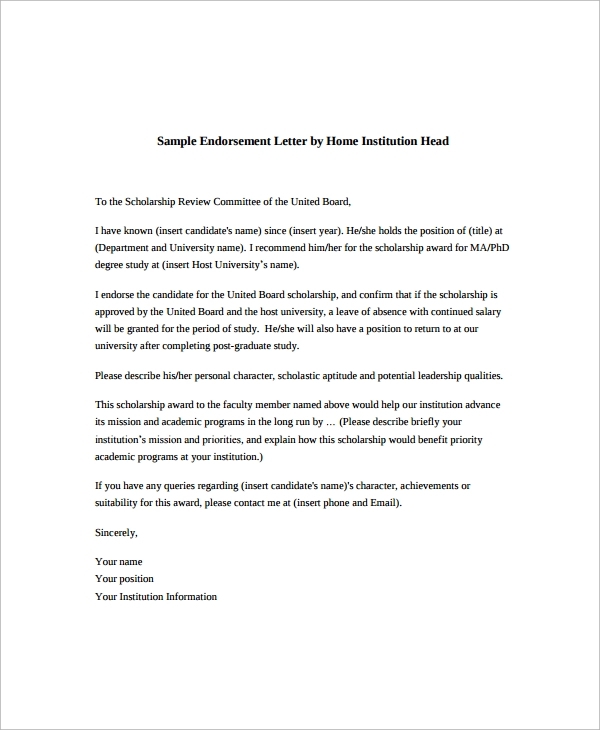 When you are endorsing a product, and need to write a letter for that, then you may refer to this template style for the most convincing and professional format and this will be accepted as a standard writing style in all events. 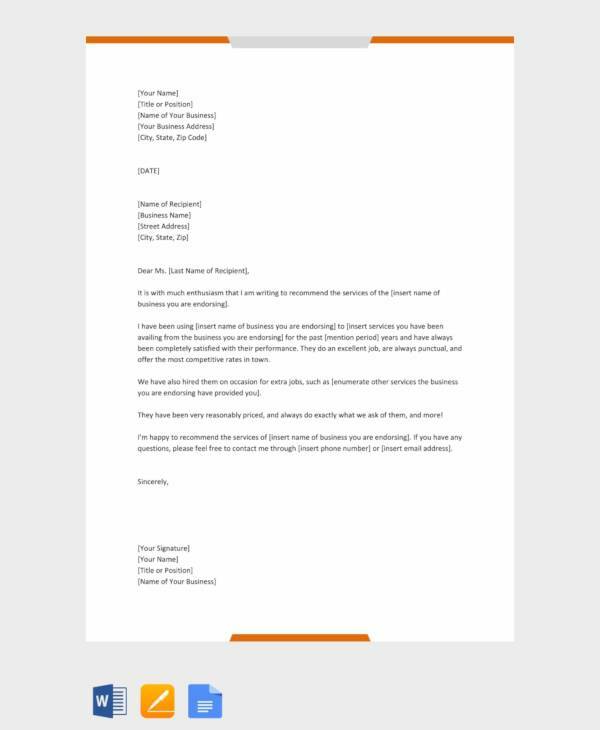 Why you need an Endorsement Letter Template? 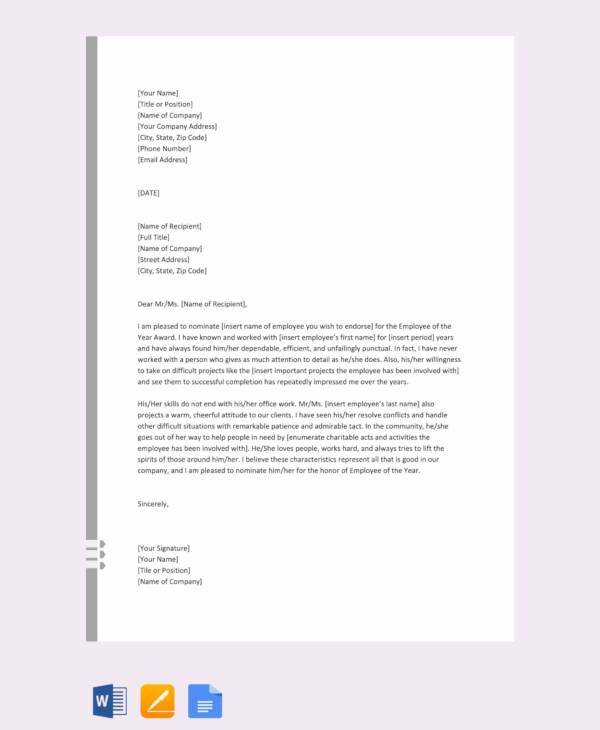 The endorsement or referral letter template styles are actually guides or samples which you should refer to, so that when you are endorsing some business, services, products or a person, then your recommending and addressing looks professional, uncomplicated, smart, presentable, and straightforward. That is what will make the endorsement most appealing and acceptable to anybody or some business. So that you can write in style, and yet not clench your teeth in search of the best writing format, and rewrite helplessly again and again, it’s best to refer to professional formats. You will get a lot online, and they are all made by experts who knows the captivating writing style to make it look inviting, tempting and yet professional. 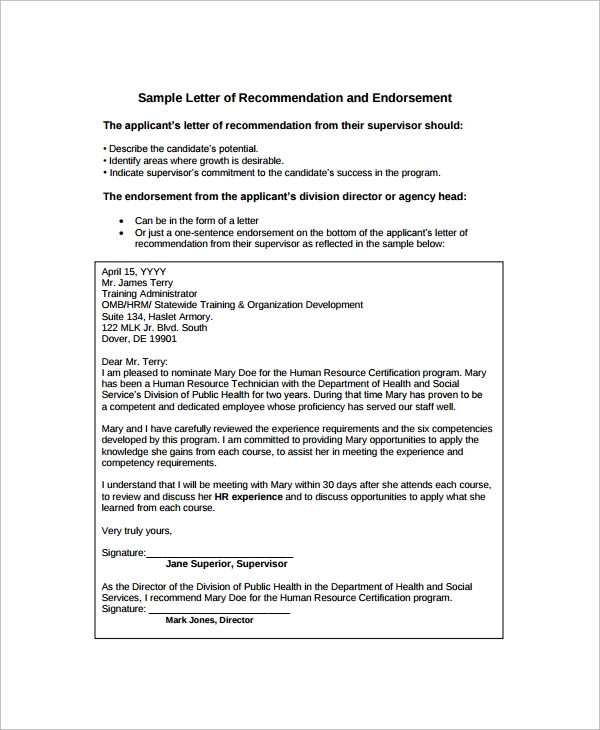 You can also see employee reference letters. 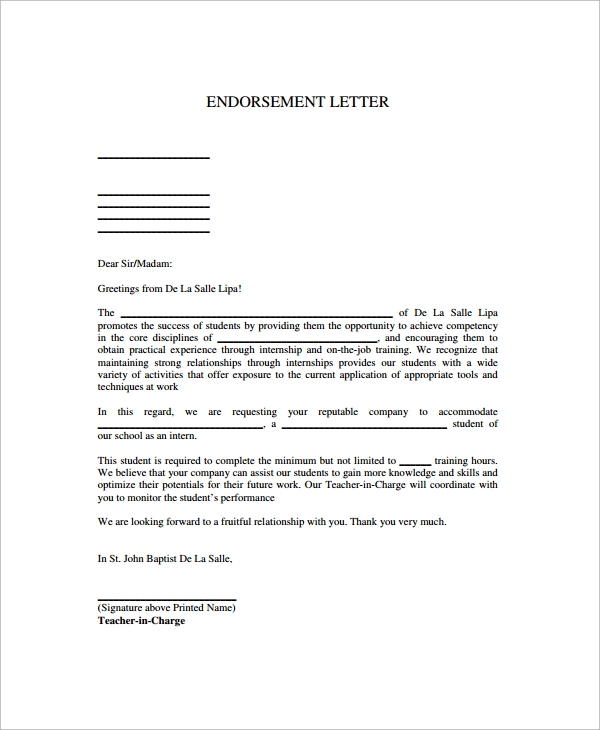 What is the Importance of an Endorsement Letter Template? Hence formats you get from template banks can be made the best use of, and you can present your endorsement in style. 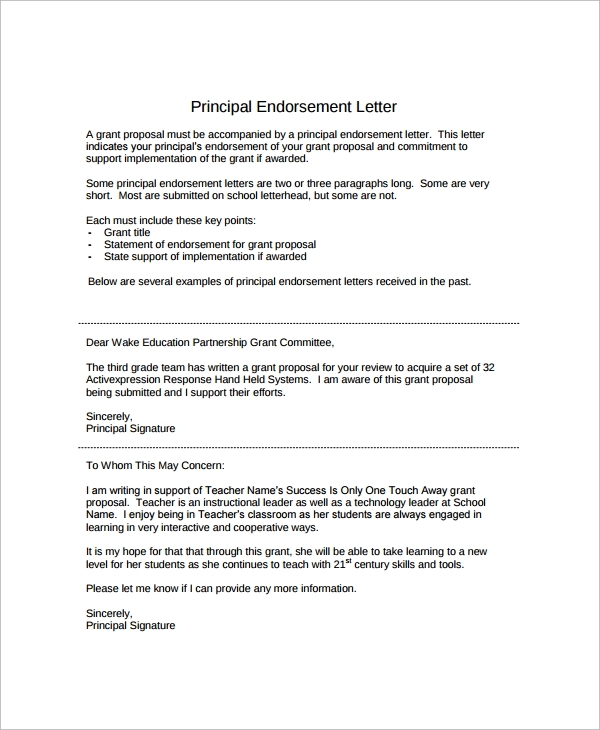 As you present an endorsement letter in style, things will work better and more effectively. 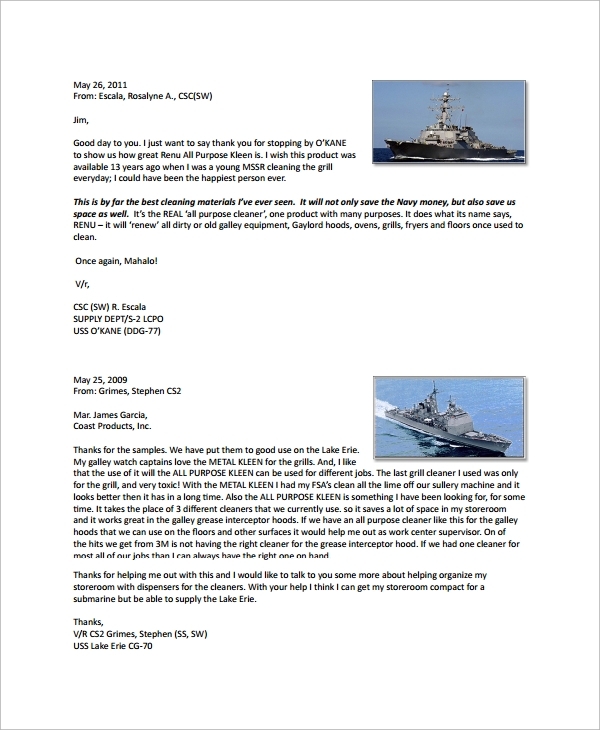 You may also like business reference letters. Templates are used in simple ways, when you read and understand and either overwrite with customizations, or simply copy the style and format. Here also you can do the same. 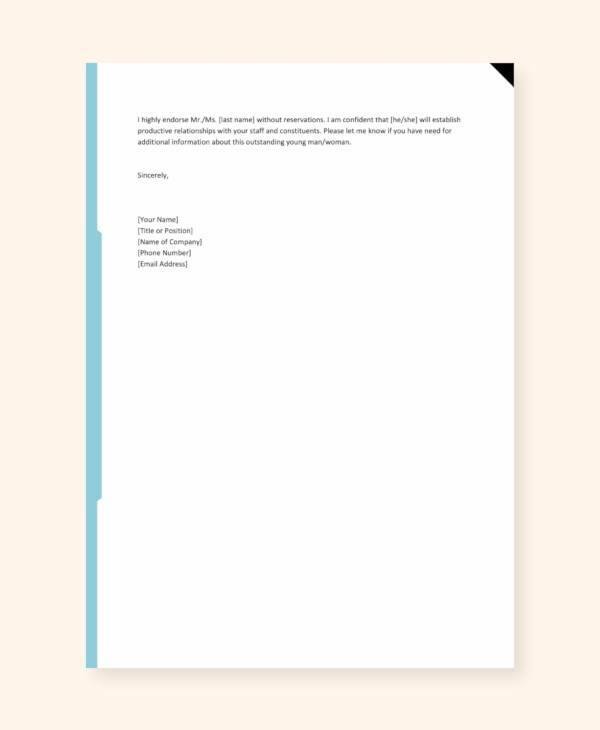 You should get a template for endorsing somebody or something and see if that best suits your needs.Later you can read and copy the style, or simply change some values and personalize if it’s a most basic and simple sample. These templates are free to download, and you will get them in commonly used word and PDF file formats.